The latest edition of ASA’s annual report on the status of state medical cannabis programs was released February 28. The 2018 report, Medical Marijuana Access in the United States: A Patient-Focused Analysis of the Patchwork of State Laws, reviews existing laws and regulations and laws passed in 2017, giving states letter grades from “A” to “F,” based on how well their programs meet patient needs. The criteria for assigning the grades include such factors as how easily patients can navigate the program, what type of access to medicine is available and what civil protections for patients are provided, as well as consumer safety and the overall functionality of the system. With 46 states and three U.S. territories having some form of medical cannabis program, 95% of the American population lives somewhere that has a medical cannabis law. The report both evaluates those state policies and makes suggestions for improvement. This year it also urges states to improve their programs to use medical cannabis as a tool to fight the opioid crisis. ASA’s report makes it easy to see the differences between state approaches and their effects on patient access. “Being able to compare my state's progress with the grades of other states is incredibly helpful in creating a roadmap for improvement," said Sen. Folmer. No state received an “A” grade in 2017, but many states saw improvements in their grading from previous years. Seven states received a “B+” for their medical cannabis programs, a 133% increase from the 2016 year. Sixteen states received an ”F”. All states that received a failing grade limit their medical cannabis program to cannabidiol (CBD), an extract of the marijuana plant. The only states that did not receive a score were those that have no medical cannabis law of any kind: Idaho, Nebraska, Kansas, and South Dakota. 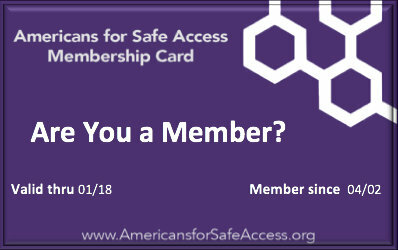 Americans for Safe Access is sending the 2018 report to elected officials and regulators in every state. ASA has published a report on state programs annually since 2014. The Drug Enforcement Administration (DEA) has removed misinformation about medical cannabis from its website after receiving a petition from Americans for Safe Access more than a year ago. ASA’s petition under the Information Quality Act (IQA) asked the DEA to correct information on its website on the health effects of medical cannabis. For years, the DEA has published incomplete and inaccurate information about the health effects of medical cannabis. ASA’s petition noted that the DEA has directly contradicted much of this misinformation in recent public statements. ASA argued that the information required correction because Congress relies on the DEA for tools to make informed decisions about public health. CBD medicines were the target of nearly two dozen raids in Rutherford County, Tennessee last month. On February 11, DEA agents and local police and sheriff's officers raided 23 businesses alleged to be selling edible candies and other products made with cannabidiol (CBD), a non-intoxicating extract of the cannabis plant. Law enforcement claimed that the products were seemingly being marketed towards minors. On March 2, the District Attorney General for the county announced all charges were being dropped because the state crime laboratory is unable to determine the source of any of the cannabinoids detected in seized products. Tennessee law allows CBD products, including nutritional supplements, pharmaceuticals, and industrial oils, as long as they are derived from industrial hemp. Hemp is defined as cannabis plants containing less than 0.3% tetrahydrocannabinol (THC). States have been able to develop industrial hemp programs under Section 7606 of the 2014 Farm Bill, but there is ongoing conflict between states and the DEA regarding interpretation of the law. Local media reported on patients who rely on CBD products, including Teresa Long of Murfreesboro, one of the towns where businesses were raided. “I use CBD in my vape, and you can’t even tell you’re using it, but I have essential tremor and it helps me immensely,” Long told WISH TV. CBD’s efficacy and lack of side effects has been documented by the National Institute on Drug Abuse (NIDA). The World Health Organization (WHO) Expert Committee on Drug Dependence (ECDD) recently reported that “cannabidiol does not appear to have abuse potential or cause harm” and recommended to the United Nations that it have no restrictions on use. After questions about the legality of products derived from industrial hemp, the DEA clarified in 2016 that it considers CBD a Schedule I substance, no matter what its source. The CARERS Act of 2017 (H.R. 2920 and S. 1764) would remove CBD from the list of controlled substances and prohibit the federal government from prosecuting those participating in state medical cannabis programs as long as they are complying with state law. 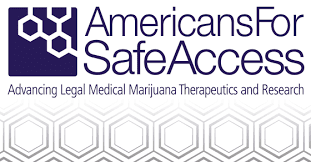 On February 21, Americans for Safe Access and Releaf App, an experience tracking tool for cannabis patients, announced a partnership to empower medical cannabis patients and establish a new class of patient-centered medical cannabis dispensaries. Training for dispensary staff can translate into patient education on varieties and effectiveness that can be tracked in the app. ASA’s projects, Patient Focused Certification (PFC) and Cannabis Care Certification(CCC), provide industry training for medical cannabis dispensary staff as well as free education for patients and caregivers. With Releaf App’s real-time experience tracking platform, patients can record and anonymously report how effective the cannabis varieties and products are in relieving their symptoms. Releaf App then provides dispensaries with symptom-specific analytics recorded by their patients anonymously. Dispensaries can then use this information to provide better recommendations to other patients. Americans for Safe Access will be participating in the Cannabis Learn Conference & Expo as course instructors and a Community Partner. The conference, produced by Greenhouse Ventures, will be held at the Pennsylvania Convention Center in Philadelphia, April 30 - May 2. The Cannabis Learn Conference & Expo brings together leaders from the cannabis business community, medical research institutions, key political figures, investors, athletes, and patients. Click here to see the university researchers and other speakers. ASA subscribers can save 20% off Early Bird ticket price and support ASA when registering for Cannabis Learn Conference & Expo. Use promo code GHVASA to save 20%, and Greenhouse Ventures will donate half of the ticket proceeds to ASA’s advocacy and education work. Join us April 30 - May 2 in Philadelphia. Visit CannabisLearn.com for further conference details and stay tuned for announcements regarding ASA’s Patient Education. ASA staff were invited to speak on the opening day of the Tourette Association’s 2018 National Education and Advocacy Conference this month in Arlington, Virginia. 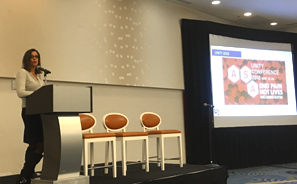 As part of a special research symposium on cannabis, Beth Collins, ASA’s Senior Director of Government Relations and External Affairs (pictured), shared insights on federal and state policy. 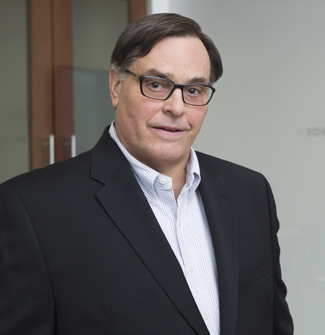 The audience of doctors, parents, and people living with Tourette Syndrome heard about the science of the endocannabinoid system from Jahan Marcu, PhD, ASA Chief Scientist and Director of the Patient Focused Certification program. 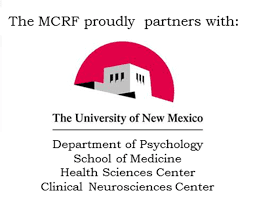 Collins and Marcu were invited to present to the group along with Michael Bloch, MD, a professor at Yale and chief resident at the Clinical Neuroscience Research Unit in the Department of Psychiatry, who is completing a study on THC and Tourette Syndrome. Scholarships to attend ASA’s 2018 National Medical Cannabis Unity Conference and Lobby Day are available, but the deadline for applying is March 7. 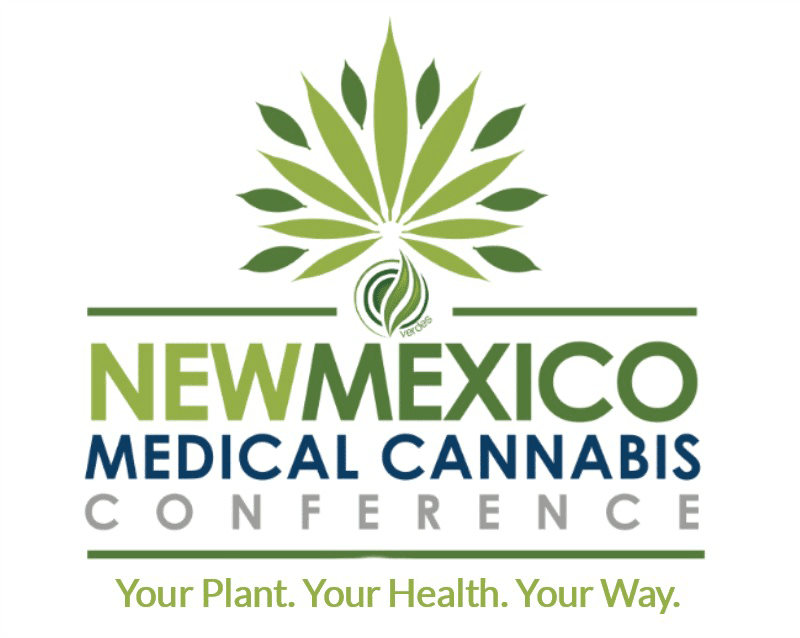 The link to apply is at the top of the conference page at http://www.nationalmedicalcannabisunityconference.org/, where you can also find Early-bird Registration. The 2018 Unity Conference will be held May 22-24 in Washington, D.C. at the Omni Shoreham Hotel. This year's conference focuses on the life-saving role that medical cannabis can play in the fight against the opioid epidemic that claims 91 American lives a day. ASA’s Unity Conference is an opportunity to learn best practices, exchange ideas and network with experts and advocates from across the country. This conference will provide professional development and leadership training in all areas of advocacy, including government and community relations, public policy and legislation, and political engagement and campaigns. Attendees will hear from successful lobbyists and communicators, elected officials, professional staff, industry experts, and public policy specialists on a wide variety of how-to topics relevant to advocacy. Attendees will also have the chance to do direct citizen lobbying on Capitol Hill. Register today to receive preferential early-bird prices at http://safeaccessnow.org/unity. Ellen Lenox Smith was a competitive swimmer and dedicated teacher and coach when, at age 42, it became clear something was wrong. She had pain that could not be identified or treated but worsened over the next dozen years until she was finally diagnosed with Ehlers-Danlo Syndrome, a rare genetic disorder that attacks the body’s connective tissue. In the 25 years since her medical journey with this condition began, surgery after surgery has been required to deal with its effects, now totaling 24. It was 2007 when Ellen decided she couldn’t take the pain anymore. She was preparing to leave for another surgery with a specialist in Wisconsin when she asked her primary care physician for a referral to pain clinic. At the clinic, first the nurse and then the doctor asked her if she had children at home – her four were already adults by then – before the doctor confided that cannabis might help. Ellen was shocked. She had never considered cannabis as an option for pain, and her minimal experience with it in college suggested the effects would be unpleasant. As someone who prizes being in control, she had hated it. But that was then, and now she was desperate. Rhode Island had just enacted a medical cannabis law the year before, but it did not then allow for anything other than home cultivation, so Ellen’s doctor suggested she find some cannabis on the illicit market and try it. If it worked, he’d sign her up for the state program. Because she had also developed sarcoidosis in her lungs, smoking anything was out of the question, so she had to go with an oral cannabis extract. A friend of her son helped her obtain some plant material and convert it to an oil. After warning her husband that she was likely to turn into some sort of lunatic, she took some and went to bed. Next thing she knew, it was morning. For the first time in years, she’d slept through the night. “After that, there was no way I was going to keep my mouth shut,” Ellen says. 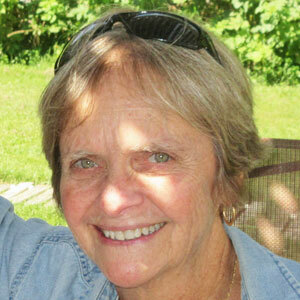 With the help of her pain specialist, she enrolled in the Rhode Island medical cannabis program. 2007 was also the year when her worsening condition meant she had to leave the career she’d loved behind, a heartbreaking decision, but it was the start of a different life. Together with her husband, Ellen has become a compelling voice for pain patients and medical cannabis access, serving on the board of the U.S. 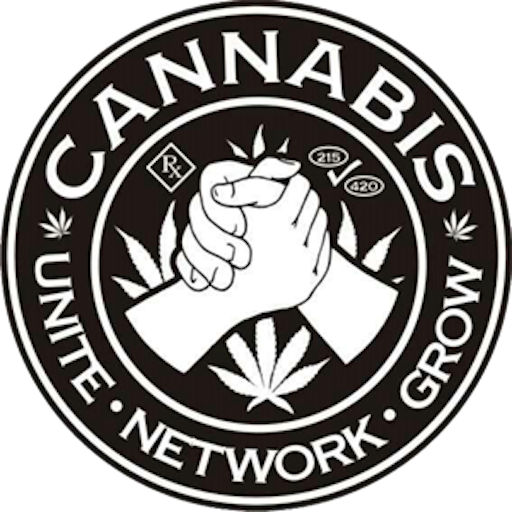 Pain Foundation and as co-director of the foundation’s cannabis advocacy, as well as working with the Rhode Island Patient Advocacy Coalition (RIPAC). 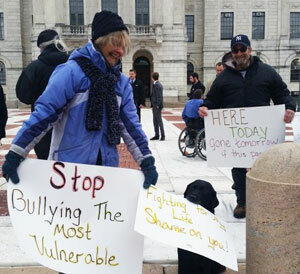 The Smiths’ efforts to raise awareness include everything from testifying at hearings and holding in-service events for doctors and nurses at area hospitals to convincing their town council to allow them to put up blue-and-white ribbons throughout town as part of the foundation’s national campaign on chronic pain. Ellen has appeared twice before the Food and Drug Administration (FDA) on behalf of the Pain Foundation, speaks yearly to new medical students at Brown University medical school, and presents regularly at conferences, including ASA’s National Unity Conference, where she is slated to appear again in 2018. Recently, Ellen did genetic testing that revealed treating the pain for her condition has two options: ketamine, an anesthetic for which new applications are being explored, and cannabis, confirming what she had discovered 13 years ago. That testing has given her new certainty. 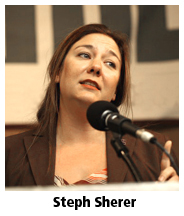 Ellen tracks cannabis legislation in Congress and in states across the nation, and writes for the National Pain Report and other publications, including newspaper opinion pieces on how cannabis has transformed her life. ASA’s annual report on medical cannabis access in the U.S. is a powerful tool for shaping the development of new laws and policies that better serve the needs of patients. Take action today to make sure your elected state officials see it and understand the importance of crafting more effective programs. 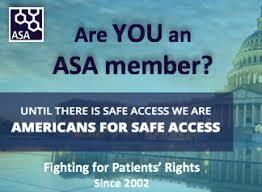 You can send it directly from ASA’s website at: safeaccessnow.org/statesreport.